Link to all the information you need about student housing on campus at UCSD. Required equipment and instructions for connecting your television to receive Triton Cable, UCSD's on-campus cable service. Information about computer access/ networking from Academic Computing & Media Services' website. UC San Diego’s Housing and Dining program is one of the most comprehensive and lowest priced in the UC system. It even includes housekeeping services and a Dining Plan! UC San Diego, Associated Residential Community Housing (ARCH) offers housing to eligible graduate and professional students in four residential communities. Maintenance Services is dedicated to providing residents with an environment free from worries of malfunctioning plumbing, electrical, mechanical, safety, and structural defects. Important dates relating to housing, arranged by quarter. Links to off-campus housing resources. Be sure to visit the commuter student resources website, too, to find resources for locating off-campus housing, becoming a renter, and enriching your life as a commuter student. Each college at UC San Diego (including The Village) has a Residential Life office that offers social, cultural, and recreational programs. They also assist students with room check-in and check-out, room changes, maintenance concerns, suggestions, and complaints. 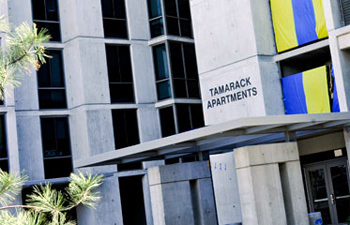 UC San Diego Summer Housing offers accommodations to continuing students who are registered full-time during the regular academic year and non-UC San Diego students enrolled in summer session. Learn more about the Village, a community of apartments and retail spaces designed especially for transfer students.